Christmas is around the corner and it’s the perfect time to start looking for gorgeous gifts for all the babies that joined us this year. In fact we had 3 new babies join our family this year including my daughter’s step sister Indiana who is only a few weeks old. We are so excited and have been looking for the perfect Christmas gift for Sylvia’s sister. I thought I’d share some of our favourites. 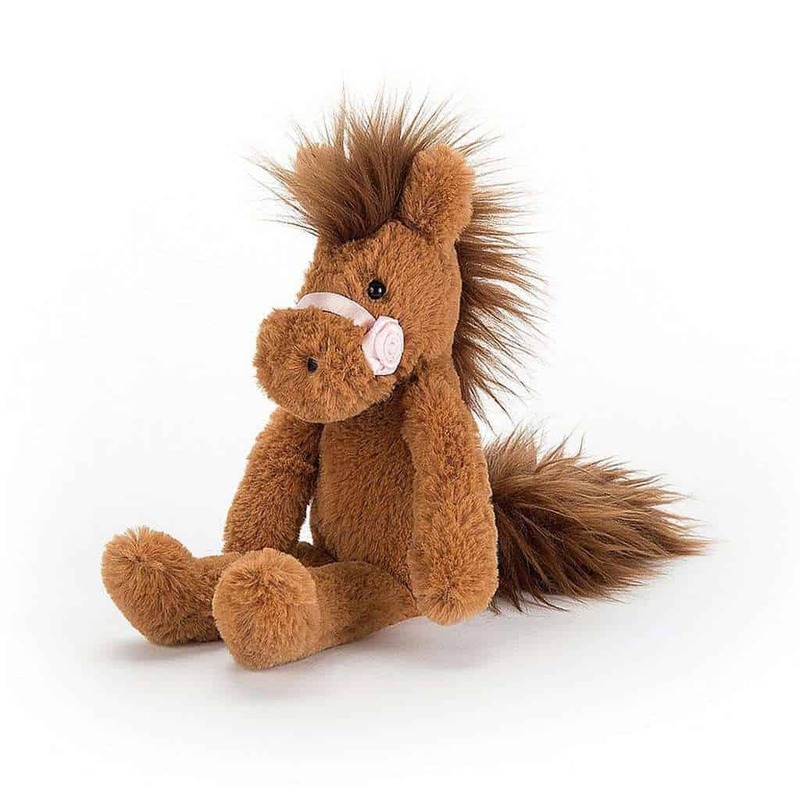 Prancing Pony Chestnut is a super cute gift for little ones. 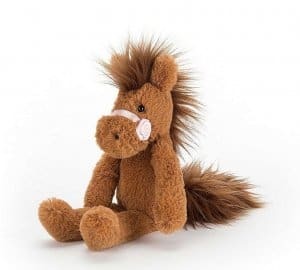 This gingery cutie has soft, cosy hooves and a silky, chocolatey mane and tail. Bright-eyed and waggle-eared, he wears a pink satin rosette and is the perfect first soft toy for your infant. Bobux soft sole unicorn loafers are absolutely gorgeous and the perfect covering for your little one’s pinkies. These soft loafers are designed to keep babies feet comfortable with plenty of breathing space and there are lots of lovely designs to choose from. I really love the Unicorn loafers and we are gifting a pair to baby Indiana. 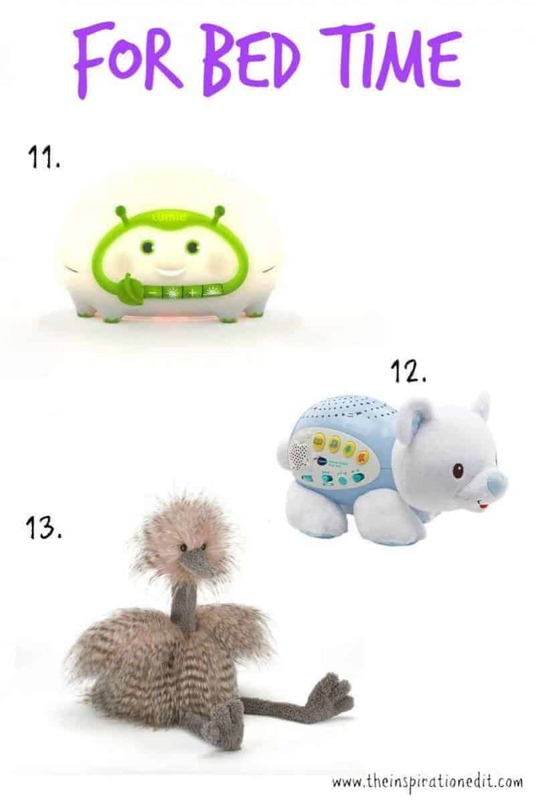 lights, music, crinkles and rattles. I think this activity Gym looks gorgeous and the characters include a musical Sheep, a Star with LED lights, a Sun, a Cloud squeaker and Bird. It’s super cute! Make meal times fun for little ones with this tumbler, bowl and plate set. This is the perfect gift for Twirlywoos fans who like to dine with their favourite characters! This three piece set is made from PP and is dishwasher safe. You could also purchase the matching Cutlery set for lots of meal time fun. This Funky Giraffe bandana bib is super cute and has a 100% cotton front which feels soft to the touch. The fleece backing keeps dribble from soaking through, and the double poppers mean you can adjust the fit as your infant grows. The Closer to Nature Complete Starter kit from Tommee Tippee comes with all you need, featuring a bottle steriliser, bottles, teats and more. The set has an electric Steam Steriliser and would be perfect for feeding time for baby. My Pal Scout and Violet introduce children to words, counting and feelings though 14 activities. Both adorable friends come pre-loaded with five songs and parents have a choice of over 30 more lovable learning songs to personalise their child’s puppy pal with. With super-soft fur and five touch points that respond to every touch, My Pal Scout and Violet encourage children to interact and lead the way in learning and nurturing activities. This toy is recommended for Ages 6 months to 3 years. each note and play their first tune. 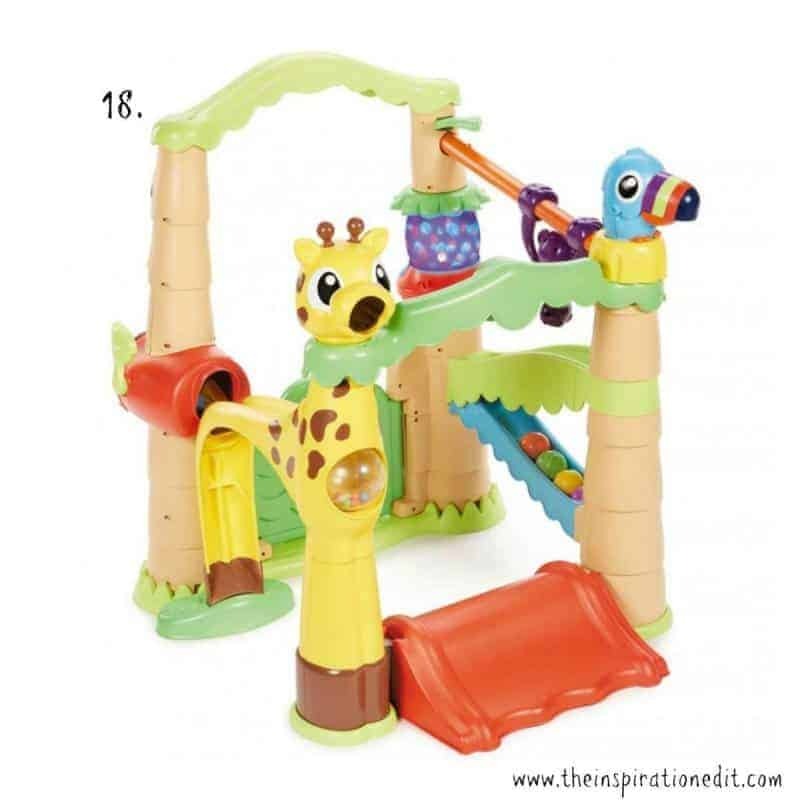 This toy is full of textures, patterns and sounds to keep little hands active. Stack and Tumble Elephant is a delightful stacker packed with personality and perfect for introducing little ones to colours, numbers and shapes. Little ones can test their listening and observation skills as they respond to Ellie’s instructions and the stacking encourages fine motor skill development. Recommended for ages 6 months plus. The Giant Po Teletubbies Plush is perfect for little ones 18 months plus. Little ones can snuggle up to this loveable giant Po and have lots of cuddles! Measuring 60cm in height this toy is made from supersoft plush with authentic Teletubbies styling. All the light you need for your child’s bedtime routine and during the night. LED technology for sleep-optimised lighting that helps prepare your child for bed and minimises disruption to their natural nighttime rhythms. Help your little one sleep safe and sound with this cute, soft polar bear featuring 4 modes of play with a timer, a light control button and and adjustable volume dial. The polar bear projects four different coloured lights and displays onto the ceiling whilst playing calming nature sounds,3 soothing songs, 7 popular nursery rhymes and 60 relaxing melodies. If you’ve met a lot of ostriches (and we’re sure you have!) then you’ll know first hand, that Odette is the finest of them all. Her wonderful, dusky pink plumage is silky and soft to the touch, which is great news as she loves a good cuddle. If you’re feeling energetic, why not challenge her to a race and see just how fast she can run on those spectacular long legs of hers! This In the Night Garden Baby Blanket is the ultimate comforter for newborns. Made from the finest quality soft touch and cosy fabrics to snuggle up to, this beautiful blanket will offer great comfort and security to soothe and calm little ones at nap time! A great comforter for little ones. I love this classic baby bouncer with it’s added abilities. This bouncer starts as a traditional floor bouncer and can be elevated to sofa height – or any level in between to allow better interaction with family members. This is a fab idea and the design and style is natural and just the style I like. The Lush & Fern Sleepyhead offers a safe and comfy spot that lets your baby sleep in a supervised environment, rest, lounge, play, cuddle, do tummy time and get their nappy changed. Little Tikes lights up the way to active play with the Little Tikes Light ‘n Go Activity Garden Treehouse. It expands and grows with baby offering 3 modes of play. Bright and colourful lights combined with fun lights and sound encourage babies to get up and move. There are more than 80 fun ways to play and help baby to develop. Well I sure hope you like this gift guide. Which is your favourite? Mine has to be the Bobux Loafers, closely followed by Odette the Ostrich. 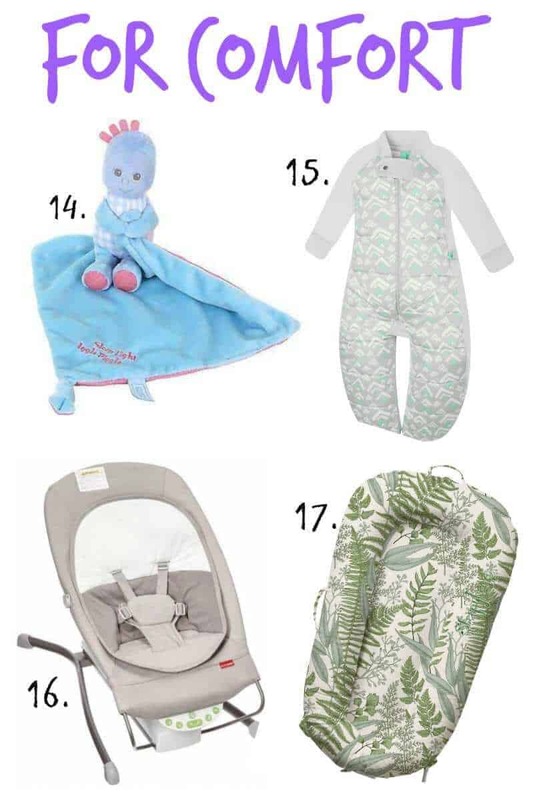 To be honest I love all the items in this baby gift guide. How about you? *This is not a paid post, however I did receive samples as part of this gift guide. All opinions and views are my own. this is so helpful! i do not have any kids but almost my friends have so this is a very good guide to me for the holiday coming! Glad you like this guide! What great gift ideas! We used to have my friend violet a few years ago and my daughters still remember the songs she sang. The ostrich toy looks so soft, my baby would love that. oh it’s a fantastic toy and educational too! Aw, what a great gift guide. I don’t think I’m shopping for anyone tiny this year, but this is good to keep in mind. My daughter used to love her bouncer. 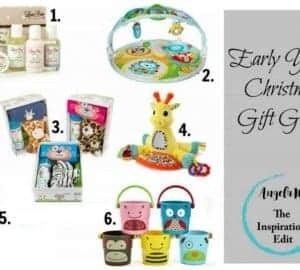 I love this baby gift guide. My kids are much older so I don’t know whats in these days for babies. I am going to reference your list while shopping for my nieces! Awesome. I hope it comes in useful. I wush it wasnt so but I have absolutely no imagination where babies are co sidered and thus rely heavily on shoppi g prmpts like this. All these gifts are so cute. I don’t a baby and I don’t anyone who got one recently but it is good to have some ideas in mind nonetheless! I’m always looking for fun and unique gifts for the holidays. This is a great list. The horse is adorable! I love the activity gym. It will help develop the child’s brain development. Great gift ideas. I’m glad that they’re “gender neutral” so that all kids can enjoy them. yes… they could be good for a baby boy or girl. I love useful gifts for babies! great guide! oh thanks. I am glad you like it. This is a great list of awesome products. I don’t have any babies to by for, but I’ll share with those that do. oh thanks. That would be cool. What some great ideas my cousin had a little boy this year and I have been wondering what to get him this is a great help! This is a great gift guide for the holidays. I will have to pick up a Skiphop Silver Lining Cloud Activity Gym for my friends little one. Its like a gift registry! All these gifts are so adorable and perfect for babies. I know my cousin’s babies girls would love these. Thanks for sharing. 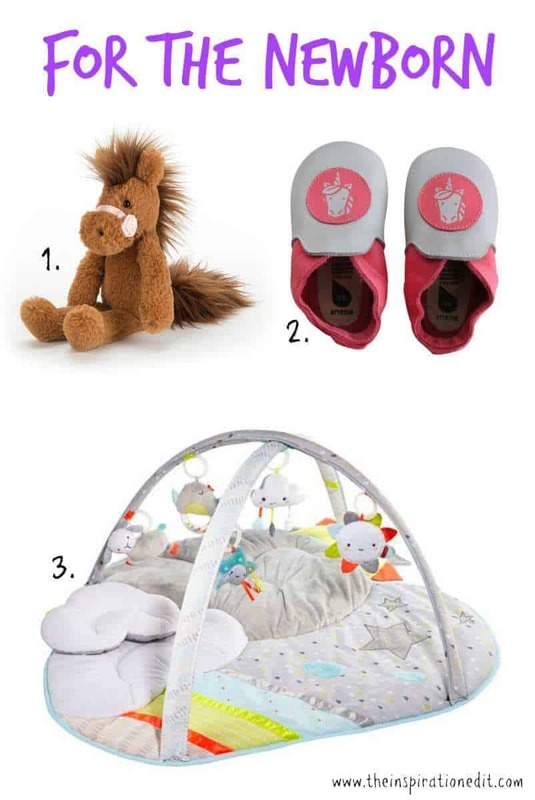 You did a great job with this baby gift guide. 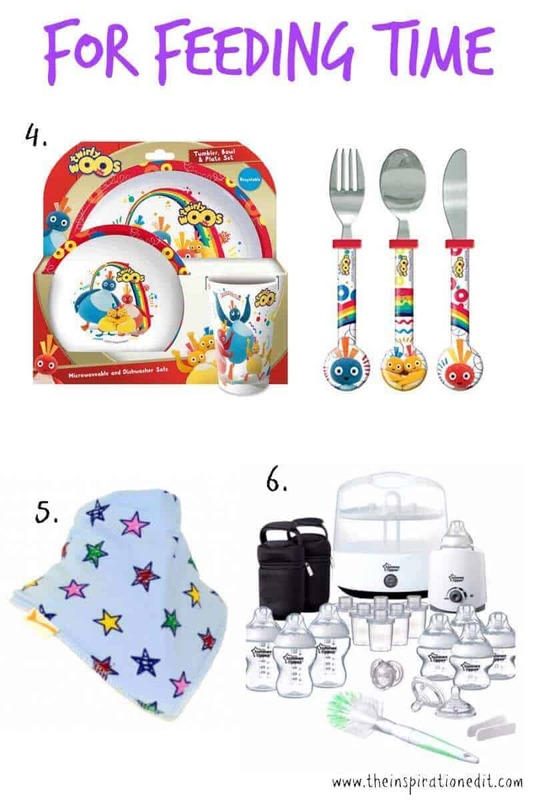 Love these items and new parents of babies will enjoy this as well. I really adore the Prancing Pony Chestnut! Such a cute little gift! I have a few babies to shop for this year! Oh this soft toy is adorable! 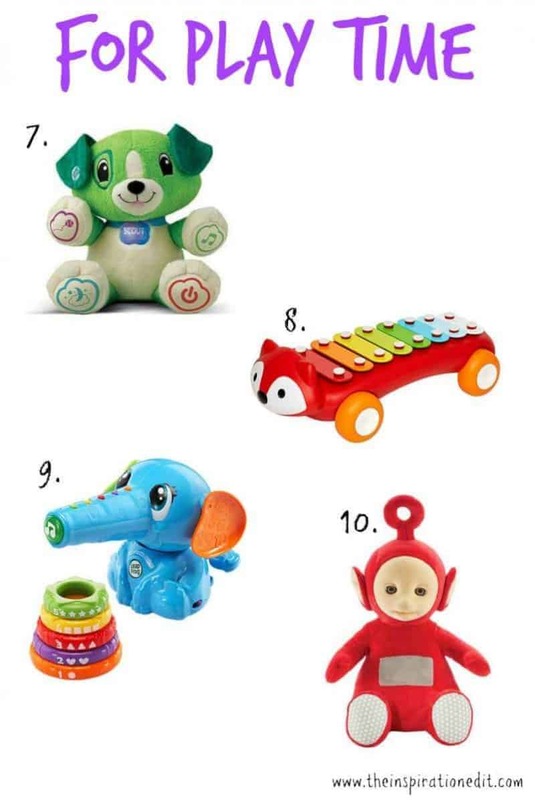 These are cute toys for tiny tots. I don’t have any little ones to buy it for but I’ll pass it along. These are all great and inexpensive choices for the holiday season. Loving the feeding time selection. Brings me back to when our boys were so much younger. There are some nice items for sure. These are great! 🙂 Thanks for sharing 🙂 I’ll have to buy some for my son.